All rights reserved. Caribiske Hav, Karibiese See, Karibischs Meer, Kariba Maro e Caraíbas. 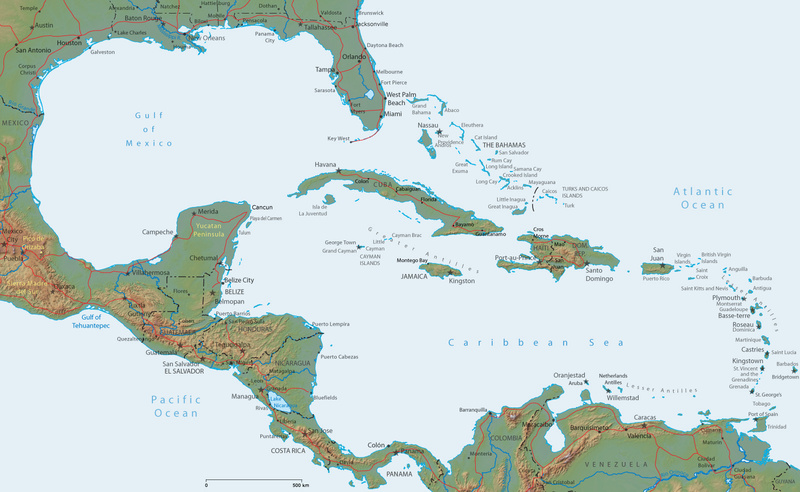 Countries of the region: Dominican Republic, Puerto Rico, Venezuela, Barbados, Virgin Islands, Jamaica and Antilles. Cities, beaches, travel guide, islands and resorts. Physical map, mountains, rivers and lakes.